One popular children’s tablet is the Orbo Jr. We have provided an in-depth Orbo Jr tablet review that provides the details on this tablet and why you should avoid purchasing it at all costs. This tablet is supposed to be for children ages 3 and older. Unfortunately, it definitely falls short for this age bracket for several reasons. First, children of this age often set passwords on the tablet that they quickly forget. For most Android based tablets, this isn’t a big deal, but with the Orbo Jr, is definitely is. This is because for some reason, unlike other Android tablets, this one will not automatically offer to remind you of the password via your Google Play Store password. This makes this tablet next to impossible to unlock if your child forgets the pin. The Orbo Jr. is priced right around the $50 mark, but like many other tablets in this price range, it is merely a cheap android tablet with a case that says it’s for kids. Honestly, I hate to say it but this tablet isn’t even worth a $20 price tag in my opinion, let alone the $50 ask that is currently on it. It doesn’t come with very many apps pre-installed, and due to it’s very dated hardware, you will struggle to find many current apps that will run on the tablet. Again, if you’re considering picking this tablet up for your child, I beg you to please reconsider and check out some other tablets we recommend. I have to give the Orbo Jr. credit where credit is due, and thanks to them using a quality rubber case, the tablet is actually both durable and lightweight. Unfortunately, that’s quality stops with this tablet though, as one again, while it is durable, it is very challenging to find many games and apps that your child can enjoy using on the tablet. When it comes to customer service, this company offers absolutely zero. If you take a look at the comments section below this post, I have tried to help as many people as I can, find solutions to issues associated with this tablet. After a bit of digging, I actually found a phone number that was supposed to be for Orbo customer care. In reality, I reached a very nice elderly lady who informed me that she receives hundreds of calls each year from people trying to get help with their tablets. Battery life seems to be a big problem for most kid tablets, especially the Orbo Jr. Sadly; this tablet can only run for 4-5 hours when games and/or the Internet is in use. However, the tablet comes with an in-car charger, so it can be charged on the go. Overall, a battery life of 4 hours isn’t something to rave about, and with other modern tablets lasting 6 hours or longer, it’s honestly just sad. Since this is an Android tablet, it is pretty easy to use straight out of the box. As mentioned before, if you decide to purchase this tablet, please make certain that you set the pin and not your child. By doing this, you won’t have to worry about your tablet being locked down due to a forgotten pin. At one time, this tablet had several apps and games that could be downloaded for educational value. Unfortunately this is no longer the case as it is simply outdated, and very few apps and games will still work on it. Orbo promises that this tablet will grow very well with your child. It fails to deliver on that promise. It is now outdated and will play very few games out of the box. So, your child will probably be disappointed from the start and simply not want to use it in the future. The Orbo Jr is able to fully access the Google Play Store. Unfortunately, it lacks the power to really play very many games and apps are very limited as well. You can still download them. However, many of the apps are very buggy to use on the tablet due to its’ hardware. The Orbo Jr. has a standard memory of 4GB, but if parents purchase a SD card, the Orbo Jr.’s storage can expand to 32GB. This is a pretty decent amount of memory. It is important to remember, however that the operating system takes a pretty big chunk of it. It is also important to note that apps and games can not be accessed from the SD card. When this tablet first came out, it offered some pretty impressive specs for the price. However, this is no longer the case and due to the combination of poor performance and absolutely abysmal customer service, I have to say that this is one to absolutely pass on. The Orbo Jr. is available in three different colors including red, blue, and black. 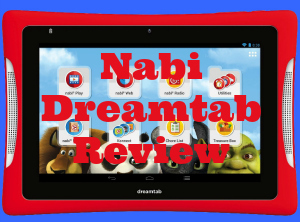 As you can see above in our Orbo Jr. tablet review, this tablet fails to meet expectations in many areas. Honestly, I urge you to avoid purchasing this tablet. In my opinion, it has poor performance, terrible customer support, password lock-down issues. 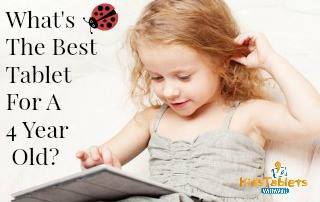 Please have a look at some of our recommendations on the best tablets for kids. Best wishes to you and your family in finding a quality tablet to help your child learn, play, and grow! I am unable to connect my Orbo tablet to my WiFi. I get a message unable to authincate. Can someone please help me? Called my internet provider and they gave me the number of a help provider that wanted $99.95 to help me. I just want it to connect to my WiFi. I bought it for my grandson’s Christmas and cannot download any games for him or us the tablet period. Please someone HELP. I had this problem until I removed the silicone cover. After that no problems connecting. It sounds like the tablet is having issues getting the proper password through to your router. If you go into your wireless settings on the tablet by clicking settings, then Wifi settings, you will see a tab that you can flip to green. Make sure that the tab is green. It will then show a list of available networks. Click on the network that you want to connect to, then enter your password and make certain that the right letters are capitalized or lowercase. If it still fails to connect to your wifi there is another option. There may be an update available for your Orbo Jr. Connect the tablet to your pc with a usb cord and the computer will scan for updates once it has installed the Orbo. Hopefully this will help you get your wifi setup for your grandson. Best wishes to you! Hello, what does ZX-2926D, no driver found mean? I am having the same problem connecting to WIFI, on the two tablets i got for both of my kids, and i am trying to get them ready for Christmas. Please help. I am not all too familiar with that specific error code. From what I have found online, this issue pertains to a missing driver. Normally you should be able to connect the tablet to your PC with a USB cord and download the driver. Hope this helps! Bought this for my son’s birthday in October and he really enjoys it. It is a fully functioning Android tablet in a kids case. You can download apps from Google Play including Netflix, Youtube, and Parental Controls. As I only paid $60 for this, I wasnt expecting a Kindle Fire. The camera quality is bad, we don’t even bother taking pictures with it. The screen resolution is also lacking, especially if you’re used to high end phone screen resolution. Holding this tablet at an angle makes it difficult to see the screen. The battery life is awful, its constantly on the charger. Turning off WiFi helps, but only a little. I don’t even get 4 hours as mentioned above. We haven’t had any problems with it running slow, or freezing. Plays popular games like Angry Birds, Temple Run, etc easily. The case silicone case is great, perfect size and grip for tiny hands and protects the tablet when dropped very well. All in all, for the price, I am purchasing a second one. Glad to hear that your son has enjoyed it so much and thank you very much for letting us know your experience with the Orbo Jr! Hi, I Bought the Orbo Jr. as a Christmas Gift for my 4 yr old Daughter. She Likes Playing games and Watching movies through VUDU on my phone, so I thought I’d get her a Tablet so I could get my phone back :). BUT, when I went to get it all loaded and ready, the Tablet tells me “Not Compatible with Vudu”. Is there any way I can upload movies to the Tablet? I want her to be able to watch movie’s while on the go, Car, Etc. You can convert movies to an mp4 file format and save them onto an SD Micro card which will then play on the tablet. Another option is to store the movies on a thumb drive in the same format and the tablet should be able to run them from the thumb drive. Hope this helps! I could not get my daughters to play mp4, just avi. Is there something I can look into to add mp4? I am an idiot and figured it out. Thanks anyway. Glad you got it figured out! Hope it works out well for you and thanks for the feedback! I can not charge or turn on my sons Orbo Jr. and he has only had it for three months. Is there any manufacturer company that makes these, that I can get in contact with to get this fixed. I hope that they get you squared away. If it’s been less than 90 days, you can reach out to the retailer where you purchased the tablet as well and see if you can get a replacement. Thanks Saurabh and thanks for the feedback! We do not have wifi at our house so here is my question: I want to be able to go somewhere that has wifi download music, games, and dad’s and bring it home to my house where we do not have Internet service and it work. Is this possible? I know that some tablets can do this and some can not. Please help! You can certainly take this tablet to your dad’s and download your content there. If you are going to be downloading big files like movies quite often, then you are going to want to grab some Micro SD cards so that you have enough space to store them. Hope this helps and thanks for your feedback! We bought a Orbo Jr. tablet on line from Amazon we turned it on, played with it for 10 – 15 min. went to settings hit the brightness button and it went dark . We can’t get it to do anything now all there is, is a black screen. It will power up but then goes to a black screen again. You can attempt to do a “hard reset” on the tablet. Some models have this feature while others do not. In order to do a hard reset, hold down the volume up button along with the power button until the Orbo Jr turns on. Once it starts to power up, you should see a menu in the top-left corner of it with an option called “factory reset kernel.” Use your volume down button to select it and the screen brightness should restore. Hope this helps you get it back up and running! The “black screen issue” as I am now calling it is becoming a very common problem for people with this last batch of Orbo Jr. tablets for some reason. I was able to get my hands on a new one today that had this issue and I was able to restore it by taking the tablet into a bright room and shining an LED flashlight on the screen. By doing this I was able to see the brightness setting on the tablet and slide it back up to about halfway. Make sure that you have your volume turned all the way up so that you can hear sounds so that you know you are hitting the corresponding buttons on the tablet. Hope that this helps you get everything back up and running and thank you for your feedback! You should be able to update the OS by going into settings then click on about device (may say about tablet), then click on system update at the very top of the menu. It will take a few minutes to download and install the update, but once it’s complete you should be good to go. Hope this helps! I can’t get the orbo jr to power off. Screen is blank and I tried power button and also power button and + button. Any suggestions? Thanks for the feedback. Try plugging in the tablet so that it begins to charge. This should cause it to shutdown and power back up which will allow you to turn it off. Hi my 3 boys just received the orbo 3ds today and one of them keeps saying connection failed timeout and won’t let us download apps. Please help. The November 2014 batch if that helps. This actually sounds like an issue with the Google Play Store. If it is what I believe is going on, you need to enable automatic date & time in the settings area. Turning this on should resolve the issue. Thanks for the feedback and I hope this helps! I was able to get another Orbo Jr. screen back in working order today by taking it into a brightly lit room and shining an LED flashlight onto the screen. By doing this, I could see the brightness settings and I was then able to adjust the brightness back to about 50%. Hope this helps and thank you for your feedback! We connected it to our pc via USB and our computer can’t find a driver for the orbo . Now what? Just responded in the comment above. Hope you are able to get it up and running soon. You can try to contact the manufacturer here http://www.chromo-inc.com/about_us. and see about getting a replacement. From what I’ve been told, their customer service is not the best though. Your best bet would be to find out where the tablet was purchased and try to get an exchange for it. Best of luck and keep me posted on how it turns out for you please. My son got the orbo for Christmas and his screen is cracked and the buyers did not get a warranty and passed date to return. Is there a screen I can buy yo replace it? Hey Alicia. I hate to hear that but unfortunately it is more expensive to replace the screens on almost every tablet out there than it is to replace the entire tablet. The orbo tablet is having a hard time charging. And when it finally does start to charge it takes 3 days and nights to charge. Do we have a faulty one? I’m sorry to hear about the issue you’re having getting it to charge up. It does sound like you have unfortunately received a faulty battery. Contact the merchant you purchased it from and request a replacement ASAP. Thanks for the feedback and I hope you get this resolved. My orbo Jr had moved all my sons games to the nand flash on the tablet I put an SD card in it and it won’t move the games to that. My son has 9 games on it and only 4 work due to not enough storage I bought the SD card to make more room but when I select the move to SD card it moved it to the nand flash and now it just says can not move due to not enough storage even tho there in an SD card in it. There is an application available on the Google Play Store for free called ES File Explorer. That app should let you move everything over to the SD card. Thanks for the feedback and I hope that helps you out. We got our son the orbo Jr for Christmas and the battery life is horrible. It might last an hour. In less than 5min I’m down to 80% from a full charge. I’m pretty disappointed. We’re receiving a lot of reports that some of these tablets are having this issue. Please contact the seller you purchased it from as it is a known defect in some of the models that were shipped and request an exchange. Hope this helps! I purchased two of these tablets and they came rooted with pages of hidden apps with outrageous permissions like overwriting other apps, accessing secure passwords, making phone calls, basically 3 pages of permissions to steal your identity. The app was written in Chinese and I only found it after safe search and a parental control app wouldn’t work so I downloaded AVG antivirus and it flagged the app as it was hidden and showed up no other place on the tab. I then found another app that when clicked on had a full page of hidden apps all in Chinese. None were able to be uninstalled by AVG. These tabs were both rooted and set up for a third party information share that was recommended only for software developers?? One had a small crack in the top corner of the screen and both cases had small stains. I purchased 3rd party through Amazon and 3 weeks later the situation is not resolved. The company would not respond to emails and now I’m shipping them back at my cost. This company is called SELLER1ON1. No idea if it was them or the manufacturer selling tabs with spyware installed, but even at the great price a tablet set up to apparently steal identities that only works sometimes isn’t worth it. Wow, it sounds as though you really got two bad ones. Due to your experience and several people that have received damaged ones from this same seller. I actually ran AVG and Avast on the tablet that I have and didn’t find anything, but I have now ordered 3 from this seller on Amazon. I will be posting the results that I find from them as an update on here for everyone. Thanks for the feedback and letting the rest of us know Melissa. I really appreciate it! I recently installed avg to protect my sons orbo, and I find out that one of the built in apps is bad. Not genuine. & the avg could not uninstall it. I also noticed that there are hidden apps that take up a lot of storage & it’s in a different language. I only have 2-3 games on the orbo & im not able to download any others due to lack of space. Does that sound right to you? & is the sd card a certain kind or is the mini or the normal sized sd cards? Thanks for getting in touch! The issue with AVG can unfortunately be absolutely correct due to the way that some of these tablets are manufactured. What happens is that Chromo Inc. (the parent company for Orbo Jr.) orders tablets that are inexpensive to make in China. They then receive them and put their own branding (the Chromo Logo on the back) on the tablets. They add the silicone case and put them in Orbo Jr. boxes. Unfortunately, games and apps can often not be stored on the SD cards for the tablet and must be put on the tablet memory itself. Normally, you can only store music, videos, books, etc… on the SD cards. Your best bet is probably going to be to flash the entire tablet and install Android Jellybean back on so you eliminate all of the hidden apps from the device. Once that’s done, you can put all of your games back on the tablet and have a bit more memory to boot. With the ORBO that my son was given for christmas – it is only recognizing less than a gig of internal memory and under 1.7 gig’s of NAND flash – whatever that is supposed to be. What happened to this 4g internal memory as advertised? The UI completely won’t allow moving things to the actual SD card – I’ll try a third party app, piss poor that I should even have to though. Is this a common issue? Hi Logan, thanks for the feedback. Yes, I have had to use a third party app on the Orbo as well. It’s called EZ File Manager and is available for free on the Google Play store. Also download the AVG free antivirus and scan your tablet as it sounds like you may have one of the ones that has hidden apps on it. This is a new issue that has just surfaced recently and I am currently checking into it. My son got a Orbo, Jr for Christmas and it won’t charge. I tried to contact customer service from the website you gave in an earlier comment and I’m having trouble with that too. Hey Tricia, they can be difficult to get in touch with sometimes. I submitted a ticket about a week ago and still haven’t heard back. Your best bet for support on these if you purchased from Amazon is to contact Amazon customer support via phone. You can reach their customer service department at 1-888-280-3321. Your tablet is most likely set in “modem mode” check your android settings and make sure that it is set to “data mode” in the usb settings area. Hope this helps you out Frank! My daughters tablet will charge and when turning on will just stay on the orbo screen; it will not go on to the android screen and then home. We have tried to hold down volume up button with power to do reset but it will not work. Is there another way for me to reset the tablet? We have let it die and then charge all the way up again and it still just freezes on initial orbo logo screen. Any suggestions? I purchased through amazon a few months ago and gave it as Christmas gift so I am not sure they will replace tablet. Hi Harmony, I’m trying to find additional information on how to factory reset these tablets, but in the meantime you may still want to contact Amazon about it. Often, they will do exchanges even 6 months in, if you ask for it. Hope this helps! Hey bro. My daughter set a pin code password on her orbo jr. And she don’t have no idea how she done it or what the number is. Hard reset don’t seem to work. Any other suggestions ? The easiest way to unlock the Orbo Jr if you have already downloaded things from the Google Play store is to input the wrong pattern 5 times in a row. If the system is fully updated, you should see “forgot password” on the screen. Hit that and put in your google email and password and it will unlock the tablet allowing you to put in a new pattern. Hope this helps ya out! My 5 yr. old nephew accidentally put a password on his Orbo Jr. We can’t get in now. You seem very informative…thank you for any help! As I was mentioning to Robert, if you attempt the password pattern five times in a row you should see the words “forgot password” on the screen if the systems updated and you’ve already used the Google Play store to download any apps. Thanks for the compliment and I hope this helps! First, I’d like to say thanks for reaching out. You won’t actually see the frogot password option until you have entered the incorrect password 5 times in a row and done so fairly quickly. There is another way to unlock it, but it’s VERY technical. Let me know if you still can’t get it unlocked after trying five times in a row and I will shoot you the link to a video that explains the other method. Hope this helps! We got a new Orbo Tablet – first of all – love it! Second – I was using my laptop to charge it and I think it must have been updating when I unplugged because it won’t go past the Android screen. I tried the hard reset but I guess this model does not have that feature because I held the buttons down for a while and it never turned back on. Any suggestions? I read the posts as best as I could and did not see this issue but if it is here and I missed it, I apologize in advance. Glad to hear that you are enjoying your new tablet. The boot up issue can unfortunately be troublesome at times. Typically if your turn off the tablet and then hold down the power buttonf for about 7-10 seconds, it will boot on up. It can sometimes be a bit difficult, but this is the best workaround I have found. Hope that helps! Hi I was wondering if the Orbo jr can be used with a wireless charging pad? I bought one for my grandson and his charger doesnt charge his tablet. I bought a replacement but it gets hot real fast and now is loose in the port. ( it’s only about a week old) so I thought in order to avoid all the hassle of sending tablet back I could just buy wireless charger. I am truthfully unsure as to whether or not it will work with a wireless pad. It sounds as though your tablet has a faulty battery though which is why it’s getting so hot. Personally, if I were you and it’s still within the return window, I would send it back for another tablet. I hope that helps and thanks for reaching out! Hello, I bought my son the tablet for christmas 2014, and recently he went to take the charger out and the whole piece came out. now he is unable to chage it. Is there any way this can be fixed? Hi Trishell and thanks for your comment! There are a couple of options here for you. If you purchased the tablet from Amazon, you should reach out to Amazon customer support as they may be able to help you switch out the tablet. If you didn’t get the tablet from them, you can check with the retailer where you purchased the tablet and see if they would be able to swap it out for you. The second option that you have is to take the tablet and the piece into an electronics shop and see if they can solder the piece back in place. Many shops will do this for about $10. Hopefully you can get this issue resolved and I hope this helps! Hey Mary, thanks for reaching out! Check and make sure that the Orbo’s memory isn’t full. The most common culprits are too many games or videos saving to the internal memory of the tablet rather than on the SD card. Hope that helps! I just bought two of these. Both of them are freezing up and won’t always turn on. I haven’t been able to use it for more than a few minutes and it freezes up. I emailed the company I bought them from and haven’t heard back. Any suggestions? If you purchased these tablets from Amazon, contact them immediately and return them. If you have purchased them from a different seller, continue trying to get in touch with them as it sounds like you received models that are defective. Hope this helps! Unfortunately it sounds like you got one that has a faulty WiFi adapter. Your best bet is most likely going to be to request an exchange on it. Hope this helps! I purchased mine for my 3 year old grandsons birthday in December………we were playing it this weekend when all of a sudden it died and will not turn back on……right in the middle of a game……….what would cause that? are these repairable?? First, I apologize about the delay on getting back to you on this one. There are a few different things that could have caused this issue. It could be something as simple as a bad connection inside of the tablet, or the battery may have failed on it. While this is something that could be repaired possibly, the bad news is that normally an computer repair shop is going to charge you more than it would cost to simply replace the tablet outright. With that said, how long have you owned the tablet and where did you purchase it from? If it hasn’t been that long, you may be able to get another replacement from the retailer. Unfortunately, the customer service that is provided by Orbo is a joke. As I’ve found with a review that is coming pretty soon on here, the newer Orbo Jrs are having a lot of problems and the customer service from the company is abysmal. If you decide to look into a replacement tablet, please let me know and I will help you look over some of the specs on some great ones that I’ve been looking at lately for different ages. Currently, I’m testing several to pick out the best ones by age and have currently covered the best tablets for 2 year olds and 3 year olds. I have looked at some for older children as well though and would be happy to discuss them with you. You can reach me personally by either commenting here again, or shooting an email to me. I hope that this information helps. Thanks for reaching out! I left a comment the other day that was waiting to be reviewed or something like that and it has not posted. I just got back in this evening. I have left a response to your original comment above. Thanks for reaching out and I hope it helps! Glad to hear that you are enjoying your tablet! It sounds like that Walmart app is actually designed to be used with 3G cell phone service or GPS service. Unfortunately, this tablet does not have GPS capabilities. Due to this, you won’t be able to enable location services. While I’m sorry to inform you of this, I truly hope it helps answer your question! Unfortunately this tablet does not have Bluetooth. Hope this helps you out! Please help! I connected to WiFi but it will not download. It gives me an error message with a bunch of numbers. I was trying to find someone to call but there are no numbers! Please let me know exactly what error message you’re getting. This could actually be a couple of things and may actually be an issue with the Google Play store rather than the tablet itself. Let me know what message you’re seeing and I will try to help you move forward with it. Good luck and I will be looking for your response! First, thanks for reaching out. Honestly, if you’re having this problem straight out of the box and receiving the “Contact Manufacturer” error when connecting to your PC, go ahead and get a replacement. This is a fairly common issue and while it can be repaired, it often masks some other issues that may pop up in the future. If it’s brand new, save yourself the headache and either get your money back and get a different tablet, or get it replaced with another Orbo. Hope this helps! I bought two orbo jr tablets. One connects to the Internet just fine. The other day there is an authentication problem. I have tried the hard reboot with the power and volume buttons and connecting it to my laptop as you suggested in earlier posts but no change. I have unplugged and plugged in my router. Re-entered the password but nothing. Any other suggestions. Thank you. Thanks for reaching out about this issue. If you have already tried the other options that you mentioned, I would go ahead and try to get the tablet exchanged. It sounds like it’s a faulty one that will result in more and more headaches down the road. Hope this helps you get the issue resolved and best wishes! It sounds like there was an issue with the actual license that was downloaded for your video. If you purchased it through the Google Play Store, shoot a quick email over to their support department. Generally, they are more than happy to help. Hope this helps you out! My son loves his Orbo, but whenever we connect to the internet it constantly crashes. What would be causing this? One of the big things that will frequently cause the Orbo to crash when going online with it is the internet browser. If you’re using Google Chrome, make certain that you have the browser fully up to date, and also check to see if there are any extensions that may be causing the problem. If you have extensions enabled, try to disable all of them and then reboot the browser. If it successfully boots and you don’t crash, try to enable each extension one at a time until it crashes. This way you will know exactly which one is causing the problem. Hope this helps and best wishes! When not home do previously Downloaded apps work? If at restaurant with no wifi for example can my son play all his games? This actually varies from app to app. Most single player apps will work fine without any internet or wifi connection available. Multiplayer apps however will normally only work when you have an available internet connection. Also, any apps that stream data such as Netflix or YouTube will not work without an active internet connection. Hope this helps! Yes, you can have the screen fixed fairly inexpensively if someone offers the service in your area. You can check with some of your local computer repair or IT businesses and find out if they do. Honestly, with the low cost of the Orbo Jr tablets, you are going to probably be better off just buying a new one as the cost for repair are most likely going to be about the same as purchasing a new tablet. Hope this helps and best of luck getting this taken care of! First, thank you very much for your feedback! I have to apologize to you. Recently, I moved this site over to another company that had more reliable hosting than where it was previously. Unfortunately, some of the pages on the site reverted back to older versions of themselves. This was one that slipped through the cracks, as I haven’t recommended this tablet for quite some time now. When it first came out, the older versions were actually very good quality. Unfortunately, the company who makes these tablets no longer provides very good customer service, and the newer versions of the Orbo Jr tablet leave much to be desired, and that’s putting things as nicely as I possibly can. Again, apologies, and thanks for reaching out. The iPad Mini or Nabi Elev-8 are definitely much sounder investments over the Orbo Jr. I hope that you have great success with them.